City Gardens is a mixed-use development in the Castlefield area of Manchester comprising 86 dwellings and 3 commercial units with associated car parking. 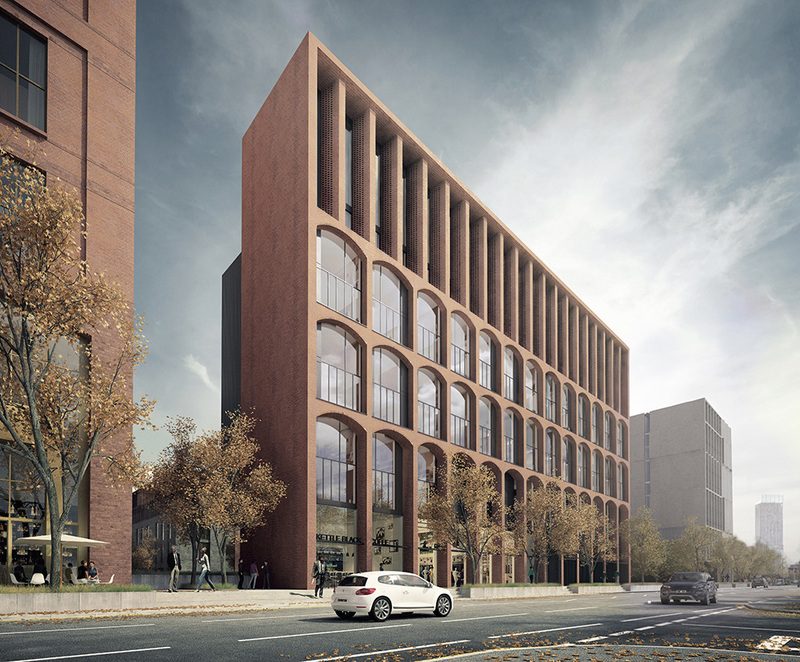 The building is being delivered as part of a wider masterplan for the area, incorporating the neighbouring Sky Gardens and 1 Ellesmere Street schemes. 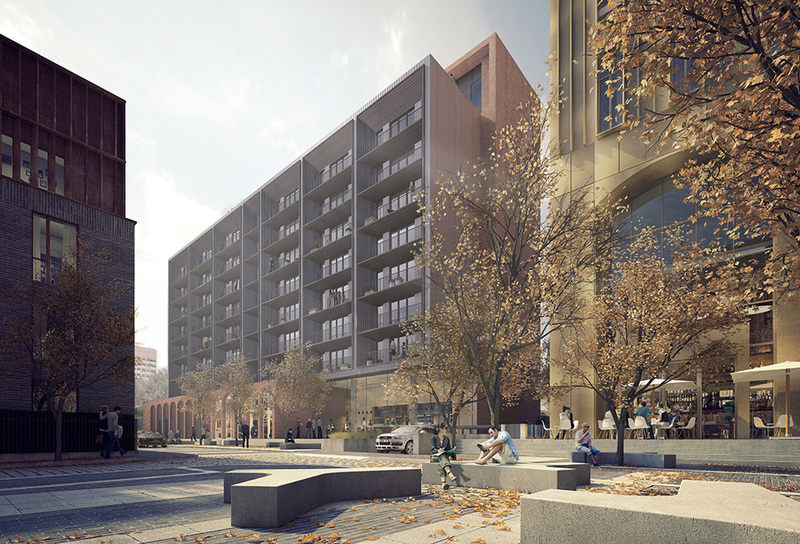 The site is accessed from Chester Road, a major arterial route linking Manchester City Centre with Salford Quays and is a southern gateway into the City Centre. City Gardens is an eleven storey building that fronts onto Chester Road and is staggered in height to the rear, dropping to nine and then three storeys. Car and cycle parking is provided at basement, ground and upper ground levels; commercial floorspace at ground and upper ground levels; and residential apartments above. 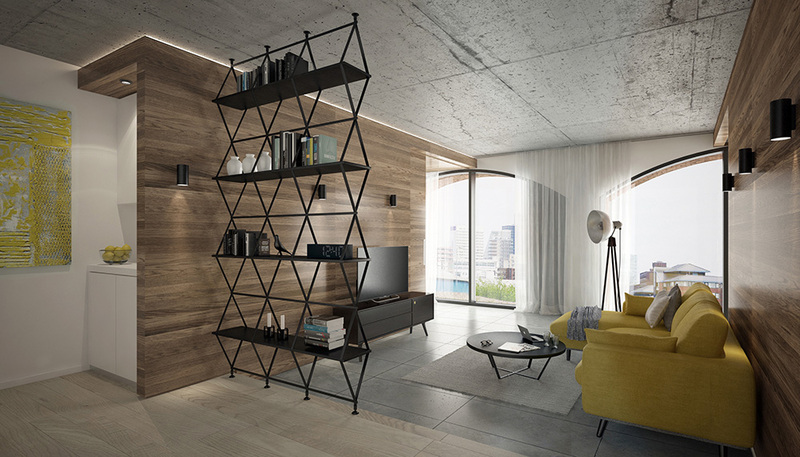 The scheme offers a number of large, open plan, one and two bedroom apartment that give flexibility in terms of their future use. The top section of the building is formed from a number of triplex type three bedroom apartments. 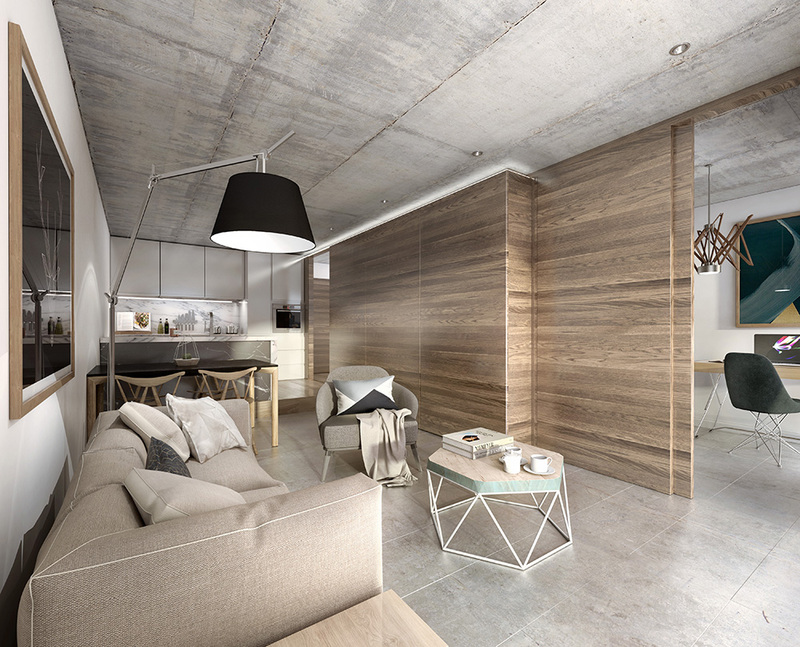 The concrete structural frame is left exposed internally and becomes the key internal expression of the building, when juxtaposed with timber lined walls that divide spaces within each apartment. 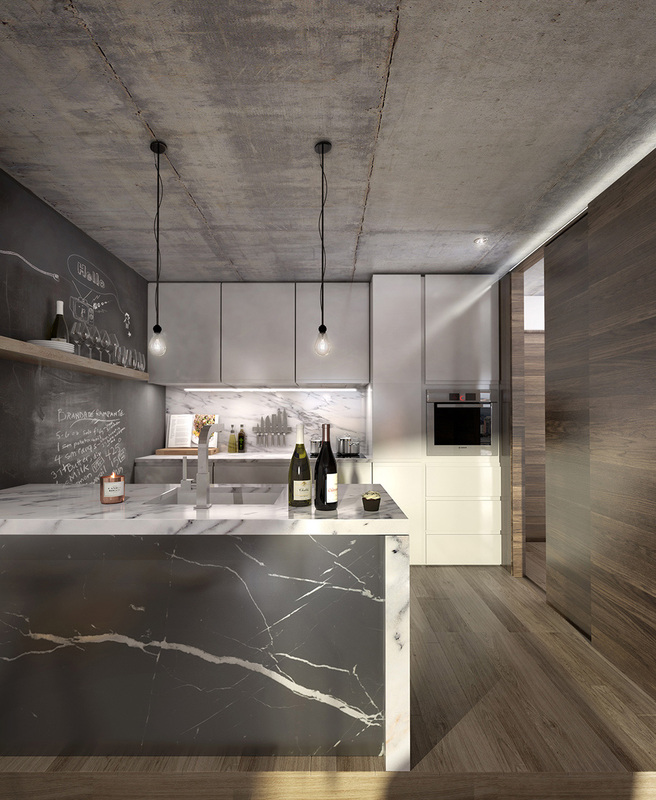 Amenity space for residents comprises of a communal terrace area at the eighth floor, including urban beehives, communal gardens, a BBQ and picnic area and sun terrace. Sizeable balconies fronting onto a new pedestrianised road to the rear of the building, running parallel with Chester Road, give further amenity space to residents. The development adjoins and extends a new public square that is being delivered with the adjacent Sky Gardens, continuing this space towards the listed St. Georges Church. This public space is overlooked by the new commercial units bringing much needed activity at street level to this area of Castlefield.